The goal of root canal therapy is to relieve pain, not cause it. The pain you experience before a root canal is the result of damage to the tissues in the tooth. Root canal therapy removes that damaged tissue, therefore relieving the discomfort you feel. If you are still experiencing tooth pain after undergoing a root canal procedure, it could be an indication of a problem with the treatment. 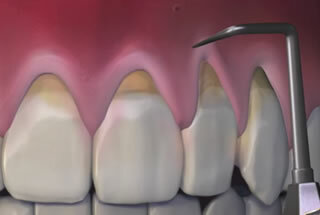 The tooth has an extra canal that was not cleaned and filled, meaning there is an extra physical root. The tooth has a small, tight accessory canal that is difficult to locate on x-rays or hard to access with the necessary tools. The tooth is fractured due to the damage and weakened state caused by the original decay and the access cavity that is created to begin the root canal treatment. The root canal has become reinfected. The small files used by your dentist to clean out the pulp of the tooth sometimes break, resulting in a failed root canal treatment. In the days immediately following root canal therapy, it is normal to experience some tenderness of the tooth or surrounding gum. This discomfort should be easily managed with over-the-counter painkillers and should subside in a few days. If the pain does not ease in a few days or becomes more severe, contact your dental professional immediately to access your symptoms and determine if you are having root canal complications. If you have to think twice about smiling because you’re embarrassed about your yellowed teeth, then it’s time to do something about it. You might consider having your teeth professionally whitened for quick and effective results, but first you may want to try whitening your smile at home with these natural methods. Most teeth whitening products you find on store shelves contain hydrogen peroxide. The liquid creates bubbles on your tooth enamel that helps remove stains. The higher the concentration of peroxide and the longer you leave it on, the whiter your teeth will become. However, be careful because too much contact can lead to tooth sensitivity. Some people enhance the whitening properties of hydrogen peroxide by mixing it with baking soda to form a paste to put on the teeth. Regularly using strawberries on your teeth can whiten them. Just cut them in half and rub them on your teeth, allowing the juice to penetrate. After a while of using this technique, you should notice your teeth becoming brighter. Rubbing the peels of lemons or oranges against your teeth and leaving the residue on for a few minutes can whiten your smile. Be sure to rinse your mouth afterwards. Don’t leave the peel extracts on your teeth for too long because the acidic content may eventually harm your tooth enamel. Stubborn stains like those from coffee or smoking can be especially hard to eliminate. Rubbing apple cider vinegar on your teeth is one way to combat persistent stains. Apply it for no more than ten minutes and then rinse your mouth, because you don’t want to damage your tooth enamel. It take one to two months of consistent daily use to achieve a whiter smile. The most well-known way to maintain a white smile is to brush your teeth after every meal, as well as after drinking a dark colored beverage. This helps get rid of stains and prevent new ones from forming. Kids don’t always play it safe or make the best decisions when it comes to protecting their teeth. Tooth decay and mouth injuries are just a couple of things parents must worry about for their kids, whether it’s the elementary school or college years. Here are some simple ways that parents can teach their kids to protect their teeth. Limit sports and energy drinks. Sports and energy drinks are both heavily marketed toward today’s youth. It is true that sports drinks help replace electrolytes during exercise, but many people drink them too much or outside the exercise realm. Experts have deemed sports drinks to be unnecessary in the lunchroom or as a snack on the playground. The high acid levels in these drinks can erode tooth enamel, with energy drinks determined to cause twice as much damage. It is recommended to save sports drinks for very strenuous activities, and instead stick with water for hydration and refreshment without the negative effects. Parents should provide mouthguards for kids in nearly any sport, even if it isn’t considered mandatory by the school or team. Mouthguards can prevent chips, fractures, or knockouts of teeth, as well as protect the soft tissues of the mouth. According to research estimates, 3 million teeth were knocked out in youth sports in 2011. Dentists suggest that athletes who don’t wear mouthguards are 60 times more likely to sustain oral injury. Inexpensive basic mouthguards or the boil-and-bite variety are available at sporting goods stores, or customized mouthguards can be purchased through your dentist. Say no to oral piercings. Although it applies primarily to teenagers and older, the Academy of General Dentistry advises against oral piercing for active people. Those with piercings should remove them before participating in sports, because puncture wounds can lead to infections related to increased blood flow and breathing rates during exercise. If your child is considering and oral piercing, make sure you discuss the risks and need for removal during physical activity. There are many different techniques that oral surgeons use to accomplish your treatment goals. The choice of techniques may vary between surgeons and should be discussed between you and your surgeon prior to the procedure. Many oral surgery procedures can be completed in an outpatient setting. Often you are only in the office for a few hours and can return to your regular routine in a matter of days. 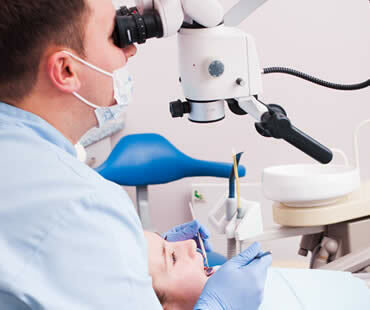 A good oral surgeon will be able to perform these procedures with little chance of complications, and will be able to provide you with the information you need to understand the recovery process. Your oral surgeon will often collaborate with other specialists, such as an orthodontist or cosmetic dentist, to achieve your ultimate treatment goals. Life is full of special events that you will remember forever. When you look back at photographs from your special days, you will want to know that you looked your very best. 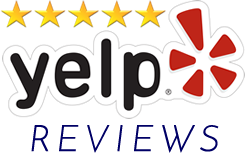 Weddings, birthdays, reunions, graduations, anniversaries, job interviews, or that very special first date are times you will want to put your best face forward. Everything begins with your smile. 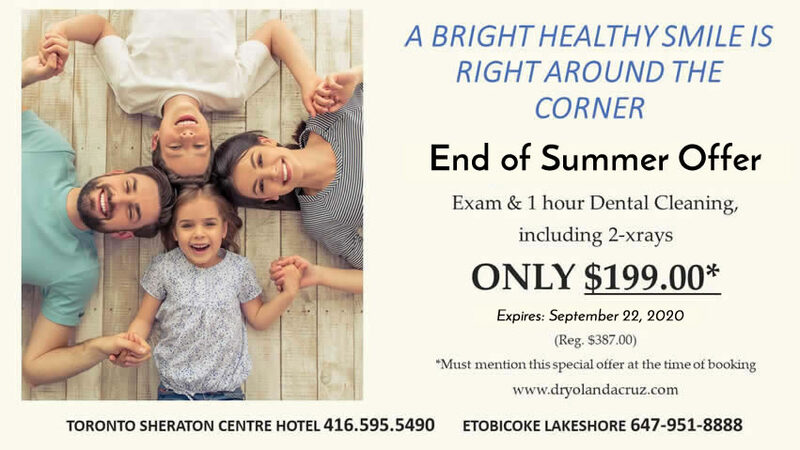 Your dentist can help you prepare for these kinds of events by brightening your smile, making you look younger and more vibrant and boosting your self-confidence. Your teeth naturally discolor with age, and this process is accelerated as you eat various foods and dark beverages. Blueberries, blackberries, and beets can all leave stains on your teeth. Dark sodas, coffee, tea, and red wine can also leave their mark with residual color on your teeth. Don’t find yourself feeling self-conscious about your discolored smile; talk to your dentist about what teeth whitening options are available to you. Not all whitening processes are good for every type of teeth. Your dentist will know what is ideal for you. Before you whiten, it is important to have a dental exam and cleaning. 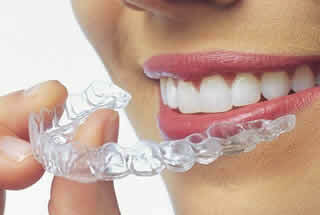 The results of your whitening depend on the initial condition of your teeth. Cleaning your teeth ensures that the whitening procedure affects all of the areas of your teeth, and doesn’t leave out areas currently hidden by plaque or tartar. Because some teeth whitening techniques require time to achieve the best results, you need to plan ahead. Begin with a consultation with your dentist several weeks prior to your special day, to allow time for the whitening process to work. Some people experience increased sensitivity to their teeth after whitening. Starting early will allow your teeth to recover from the whitening process. A brighter smile will always help you look and feel better. It will help you make the most positive first impression. On your special day, when you smile for the camera, your confidence will show. You’ll love what you see in photos for years to come. Chewing and swallowing can be tricky after wisdom tooth extraction. Gauze pads and a sore mouth can make eating sound unappealing, but it is vital to your healing to maintain a healthy diet. When you have a tooth extracted, a clot forms to help with healing. It’s important not to disrupt the clot, which means it is crucial to maintain a soft-food diet. In addition, spicy, acidic or hard-to-chew foods can cause additional discomfort and prevent healing. Be careful never to use a straw during recovery, as the suction can remove the clots in your gums and create problems with healing. Some of these foods may still be too chewy, so you will need to gauge if they need to be cooked longer or further softened to make them easier to ingest. Pasta or macaroni can be overcooked to make it easier to chew, and soups can be blended to eliminate chunks of vegetables or meat. Be sure to follow the aftercare and eating recommendations of your oral surgeon, and don’t push yourself to return to normal foods until your mouth feels ready. Wisdom teeth are the third set of molars and the last adult teeth to erupt into the mouth. Most people have four wisdom teeth, two on the bottom and two on top. Many people do not have enough room for these molars to emerge completely, causing them to become impacted in the gum. Impacted wisdom teeth are difficult to clean, making them more susceptible to decay and disease. 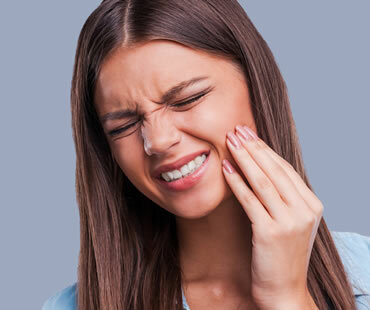 Other dental problems caused by impacted wisdom teeth include pain, damage to surrounding teeth, and bite alignment issues. For these reasons, your dentist may recommend having the impacted teeth removed to prevent future problems. 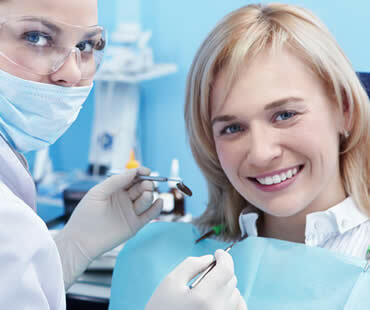 Surgery to extract an impacted wisdom tooth or set of wisdom teeth is usually an outpatient procedure done in your dentist or oral surgeon’s office. If the tooth or surrounding area are deemed to have an infection prior to the procedure, surgery will be delayed, and your dental professional will likely prescribe antibiotics to help heal the area. On the day of surgery, local anesthesia will be administered to numb the area where the extracted tooth will be removed. Depending on the severity of your case, your dentist or oral surgeon may also utilize a general anesthetic. Once the anesthesia has taken effect, an incision will be made to open up the gum and any bone blocking the tooth will be removed. 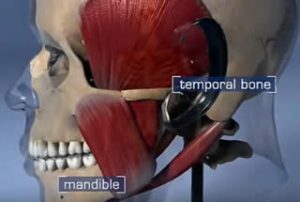 Your dentist or surgeon will then separate the tissue connecting the bone to the tooth and extract the tooth. Some teeth are too large to remove in one piece, in which case your surgeon will cut the tooth into smaller pieces to make it easier to remove. Finally, the incision is closed with stitches and packed with gauze to help alleviate bleeding. Long-term complications from impacted wisdom tooth surgery are rare. To ensure a successful recovery from this or any oral surgery, be sure to follow all aftercare instructions provided by your dentist or oral surgeon. If you are unhappy with your smile, porcelain veneers are a cosmetic dentistry option that can provide you with flawless teeth. Veneers are a very popular way to improve your appearance without a major, invasive procedure. Here are some things you should know about porcelain veneers if you are considering them as a solution for an imperfect smile. 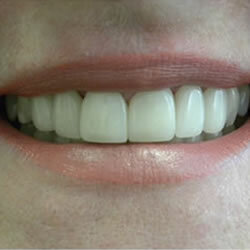 The purpose of veneers is to restore your smile, and your original teeth are not removed or altered. 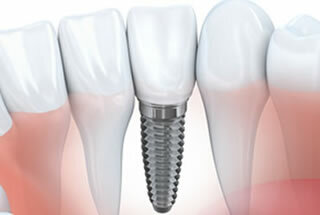 However, a large part of the original tooth structure is removed with crowns in the process of building a new tooth. If you’re seeking a minimally invasive option, veneers may be your answer. Veneers are customized just for you, so your smile can be personalized to meet your desires. Your teeth will look natural and healthy. Porcelain is translucent and provides a realistic look to your smile. Also, stains do not stick to porcelain and even if there is any small staining, it can be easily polished off during a dental cleaning. Veneers are a permanent tooth restoration, so make sure you are happy with the color and shape before they are placed using dental cement. 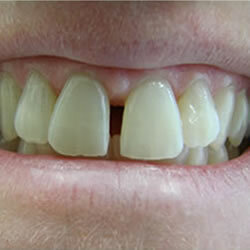 Alterations cannot be made once the veneers are in place. A thorough examination by your dentist is required to determine if veneers are right for you. Some oral conditions do not work well with veneers, so your dentist will make sure your teeth and mouth are healthy enough to work successfully with veneers. In many households, the bedtime routine is no fun. One of the trickiest parts for some parents is getting their kids to brush their teeth. However, it’s not a part of your child’s routine that should be skipped. 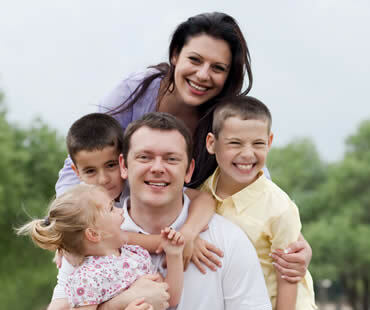 To help make taking care of their teeth fun for children, here are some ideas for parents. Provide your kids with fun toothbrushes! By choosing a brush decorated with their favorite character or color, your children will think of their toothbrush more like a toy than a dental tool. Consider getting more than one toothbrush, so each night they can choose the one they want to “play” with at the time. Children are picky about their toothpaste flavors just like their foods. Select toothpaste that you know your kids will like. Some of the flavor options include bubble gum and fruits, as well as the standby mint. If they start flossing at a young age, your kids will likely view it as part of their oral hygiene routine all of their life. Try using some of the fun flossing tools on the market today, because they may help get your child interested in flossing. There are many colors and shapes to choose from, so keep trying until you find one that motivates your child. Enticing your children with rewards is often an easy way to encourage them to perform a task without arguing. Consider making a rewards chart and giving them a sticker each time they brush and floss. By the end of a week filled with good dental hygiene, a special reward will await them! Once you’ve received dentures to restore missing teeth, it will take some time to get accustomed to them. There’s no reason to be alarmed or frightened about wearing dentures, because most patients go through the same adjustment period. If you’re aware of the potential issues and how to react to them, the process will be easier for you. 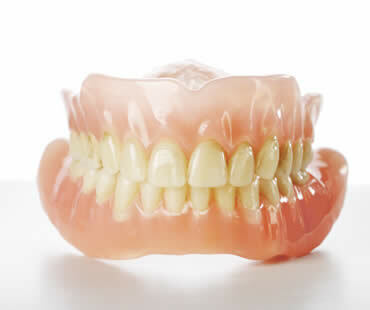 Here are some rules to follow as you begin wearing dentures. Don’t try to fix them yourself. Even though dentures are customized just for you, that doesn’t mean they always fit perfectly right away. 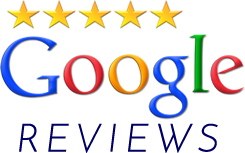 There might be some molding defects or other minor flaws that cause the dentures not to fit exactly right or rub sores on your gums. If this happens, don’t try to correct the problem yourself. Take your dentures back to your dentist to explain what’s bothering you, and give your dentist a chance to properly and safely adjust them without damaging the dentures. Similar to getting braces at first, you’ll want to stick to eating soft foods for the first few days of denture wear. Avoid foods that are sticky or hard to chew. Focus on chewing with your back teeth instead of the front part of your dentures, and cut your food into small bites. Soaking your dentures in a solution recommended by your dentist can help keep them hydrated. This will avoid dryness, which causes friction between your dentures and gums and can lead to mouth sores. You’re going to unintentionally bite yourself. It’s part of wearing dentures at first; you’ll probably bite the insides of your cheeks. 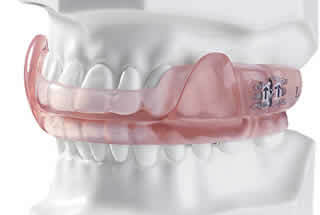 It’s a natural part of adjusting to the appliance in your mouth, and it will subside as you get used to wearing them. Gargling with a fluoride rinse or other mouthwash provided by your dentist may provide relief.